As we age, hormone levels change, sometimes resulting in diminished levels that need to be optimized for you to feel your best. Bio-Identical hormones are hormones found in nature that are identical to those in your body. 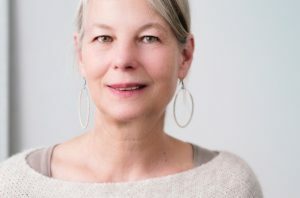 Bio-Identical hormones replace these diminished levels through a treatment called Bio-Identical Hormone Replacement Therapy, bringing balance back to your hormone levels and your life. Treatment starts with labs to learn your specific imbalances, whether that be in progesterone, estrogen, testosterone, thyroid hormones, or cortisol (stress) hormones. Once we learn your imbalances, a plan is developed to help correct your symptoms and make you feel better. Bio-Identical hormones are administered in a variety of formats such as pills, creams, gels and shots. Once administered we closely monitor your hormone levels to make sure you are achieving your therapeutic goals with the correct hormone dosage. Your dosage can be adjusted whenever needed to get the optimal balance necessary for your body. Viva Wellness works with only highly accredited compounding pharmacies to create a customized formulation for each patient.